So, I would usually stop working for the day between 7:00-8:00. I'll then brush my teeth, have my shower and if needs must wash and dry my hair. When you have thick long hair like me, you will understand the struggle that can be. If there's a TV show on that, I can't afford to miss I will watch that. I love the Apprentice and Doc Martin at the moment. Other nights I will read, sometimes I'll watch a movie and other times I'll watch YouTube until I fall asleep. I guess it depends on what mood I'm in. I aim to be in bed by 10, but it's usually earlier if I've been watching YouTube or reading. Knowing me, I've probably fallen asleep when doing so. What are your favourite PJs? 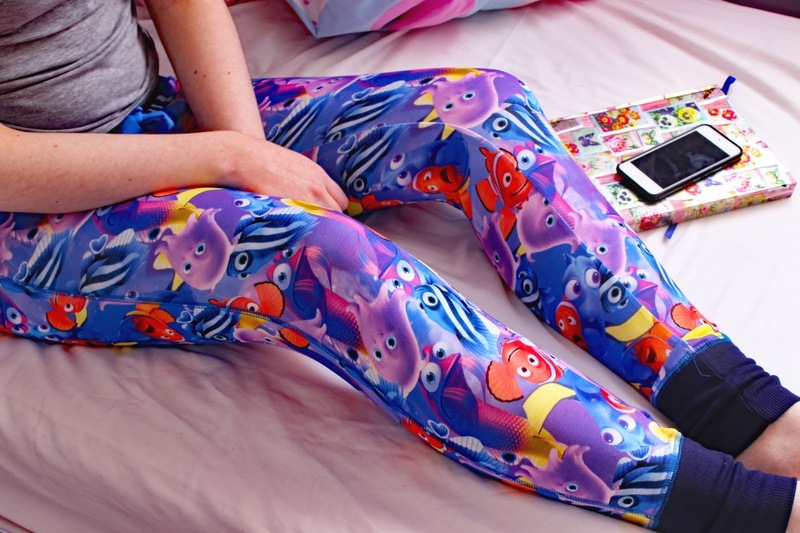 It has to be my Nemo ones from Primark. A lot of people seem to think these are leggings when I've posted pictures of them before on social media but they are definitely not. I can't stand hot fleecy PJs at night because I get quite warm. 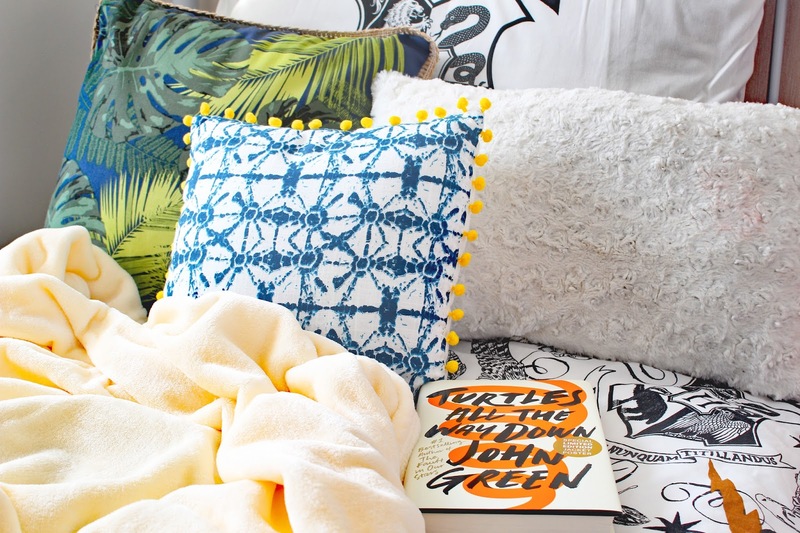 Light, airy and PJs with amazing designs are what floats my boat. What is your current bedtime read? Currently, as I write this, which is the end of October. I'm currently reading Turtles all the way down. Unfortunately, since going back to college, I haven't had as much time to read as I would like. However, I'm keen to get through this book as John Green has to be one of my favourite authors. My orange retro light from Homesense and my equally retro looking alarm clock. Oh and probably an empty smoothie cartoon if I had one before Bed. 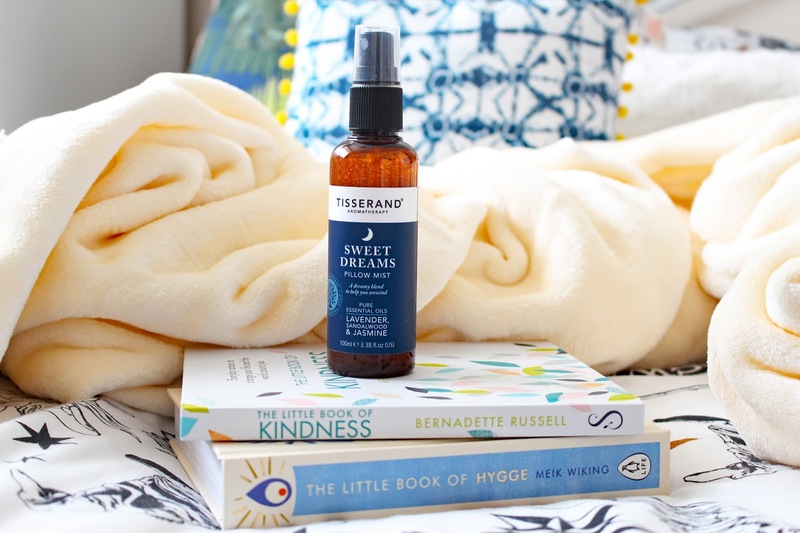 My Tisserand Pillow Mist. This stuff is dreamy. Lavender is such a beautiful smell and is also one that works wonders in getting you off to sleep. If I were a bath person, I would definitely have lavender products, but as I'm not, pillow sprays are ideal. What are your usual bedtime and wake up time? My Tisserand pillow sprays as previously mentioned, my heat holders throw because it makes going to bed in the colder months so much cosier and an old pillowcase to go over my new one. This sounds strange I know. 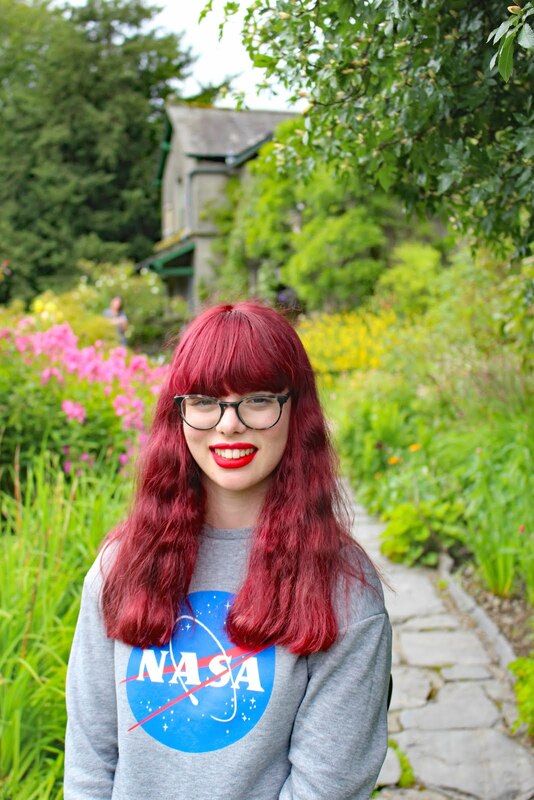 But when you dye your hair the colour transfers on to everything even when dry. I don't want to ruin my lovely bedspreads, so I'm a genius and put an old one on before I go to bed every night. I don't actually have one. I'm what my family calls a fidgeter. I continuously turn from left to right and back again while trying to get to sleep and while asleep apparently. No wonder I always wake up tired. I do more exercise when I'm asleep than when I'm awake. Do you have anything you take to bed with you? Yes! I have a cuddly toy hippo which an auntie got for me when I was little, and I've pretty much slept with every night since. My heart would break in two if I ever lost him. It has to be falling asleep while watching YouTube or Netflix on my phone. I've practically managed to train my brain to fall asleep while watching repeats of BuzzFeed unsolved. It's definitely not ideal, especially when I've woken up more than enough times with headphones around my neck. Note to self- break this habit. I hope you managed to pick up some tips or advice to benefit your mental health through having a good quality sleeping pattern. If not, I hope you enjoyed having a good nose into my bedtime routine. I would love to know a bit about your sleeping routine in the comments below! Do you have any bedtime essentials which you can not live without? I agree! Sleeping is so imperative to keeping good health. It is the first thing that goes for me when I am not feeling well. I try really hard to never go to bed with technology that back light just screams "stay awake". But it is so hard sometimes not too! Getting enough sleep is so important! I try to finish my homework before 9pm so I have time to myself to relax, watch some YouTube, Netflix or read. I think I would go insane if I didn't.